The fort is an oval shaped structure, surviving as banks and ditches, as well as the earthwork remains of up to 5 rectangular enclosures within the boundaries of the protective banks and ditches. These probably represent the earth footings of buildings. 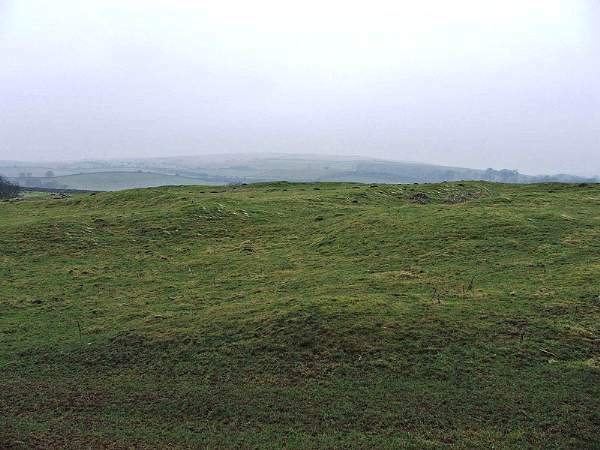 These remains are situated on the Eastern side of the castle. 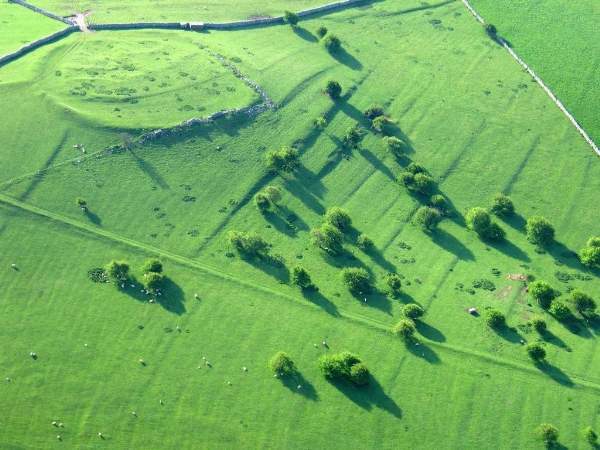 The aerial picture above not only shows the fort itself, it also shows the dykes running through the earthworks, and the strip lynchets on the hill side. Aerial photo by Simon Ledingham. Other photos and words by Matthew Emmott.